A AllStates water damage cleanup technician will arrive as quick as possible to your property or business. The technician will see to it that you are not in immediate risk and describe the steps that are included in the water damage removal and clean up, according to the degree of the water damage at your property. Our New Jersey water repair work technician will make sure that your water damage loss is contained and will do anything possible to prevent more water damage from recurring. Our water cleanup experts are trained to professionally document your water damage loss. This info will be utilized later to record the progression of drying your New Jersey-New York water damaged property and will be sent to your insurance provider. Our flood repair technicians will move furnishings and remove belongings from the moist floor to obtain prepared for water removal and water clean up. If there is a demand, a few of the water damaged contents will be moved to our specialized center for professional content restoration and cleaning. Our New Jersey water damage professionals will go through the water removal process. We will remove water from floors, cabinets and various other surfaces, basements and crawl spaces. After all the easily removable water is cleaned up, we will use air movers and dehumidifiers to evaporate water soaked up in floors, walls, ceilings, and carpetings. As water evaporates into the air, our commercial dehumidifiers will remove moisture from the air. This process requires special training and knowledge. If not done correctly, your property will sustain secondary damage. Depending upon your water damage loss, we may utilize expert air scrubbers to clean the air from contamination. Depending upon the nature your water damage loss, our professional will provide you with detailed directions. We will likewise set up a water drying out tracking appointment for our next check out. Water damage technicians will be coming to your property on a regular basis up until it is completely dried. They will adjust the number of dehumidifiers, air-movers and air scrubbers as your house drying out progress continues. On each visit they will document the state of your water damage drying process. After your New Jersey New York property is totally dry out, we will transport cleaned and recovered material from our cleaning center. AllStates Restoration will bill your insurance directly so you do not have to worry about dealing with all the documents yourself. After your New Jersey property is completely dry, AllStates Restoration could offer an estimate for a complete reconstruction of your house. AllStates Restoration is a full service construction provider. As such, we can offer a complete line of construction services such as brand-new floor installation, sheetrock installation, painting, plumbing installation, brand-new installation, kitchen improvement, roof installation and repairs. Many of our customers ask us to do remodeling at the exact same time as we do the rebuilding so that their house looks much better then it looked prior to the water damage loss. Call AllStates Restoration at 888-651-2532 – 24/7 for New Jersey & New York area emergencies due to flood and water damage. We are experienced in fixing burst and leaky pipes, flooded toilets and burst water heaters. 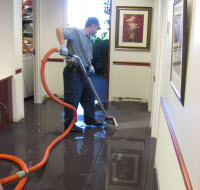 We deal with all aspects of water damage removal, water damage extraction, water damage clean up, water damage repair, flood damages clean up, water damage emergency restoration. To schedule Water Damage Repairs appointment, call 888-651-2532 or click here.